This set is in my Scrappy Creatures bundle! 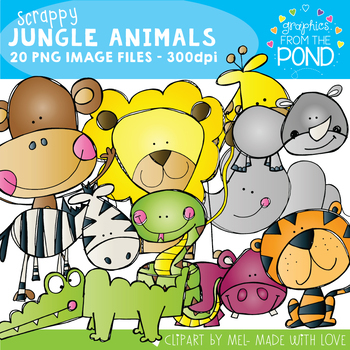 This is a fun set of 20 individual files to use in your classroom and teacher resource files that you sell and distribute. Please note that my drawings are whimsical and mat not be scientifically correct representations of the animals.